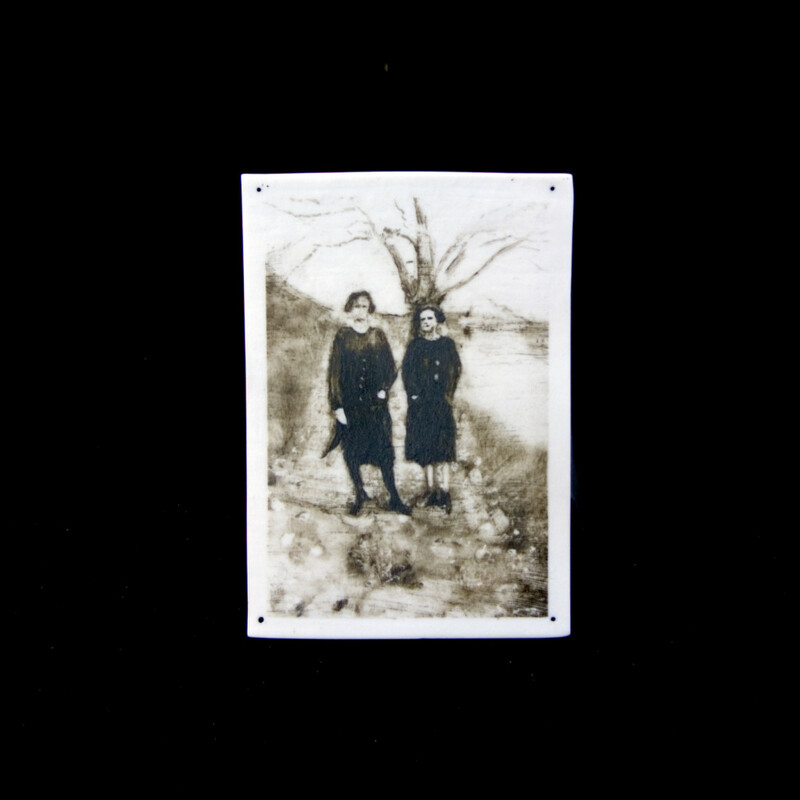 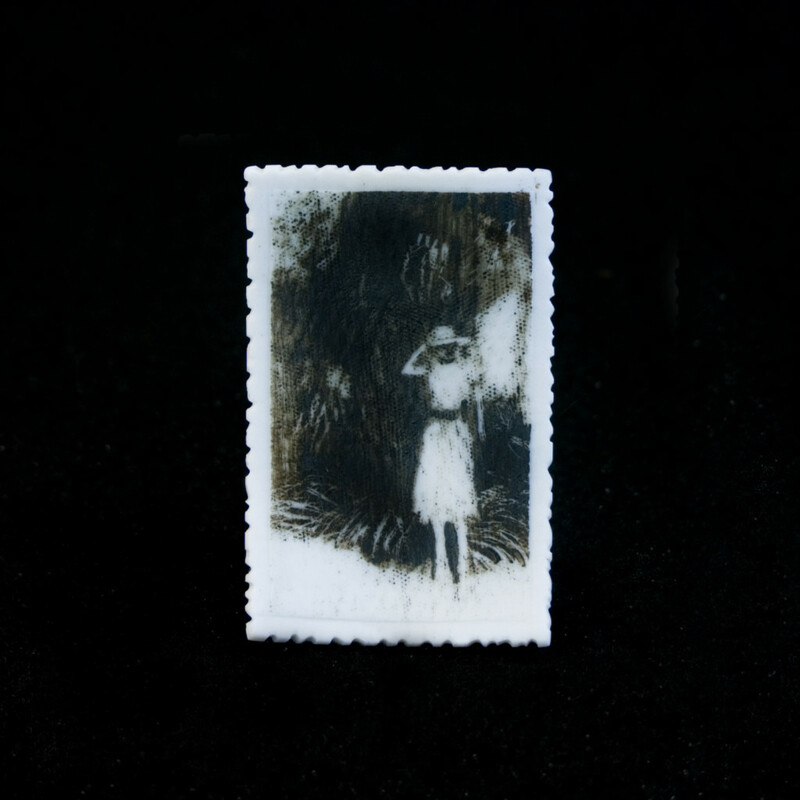 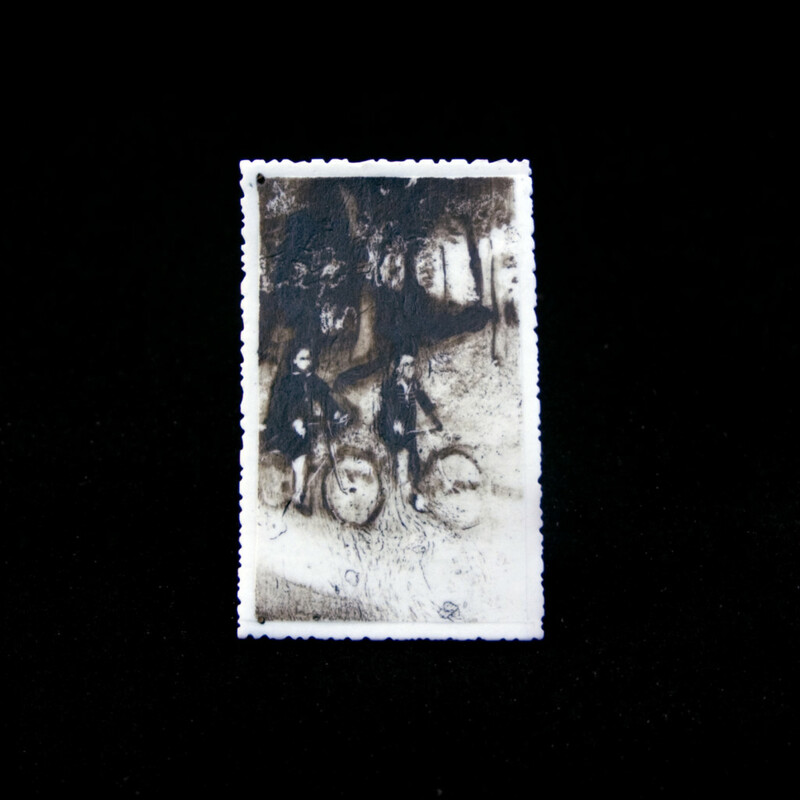 A small series of five phossils (hand painted porcelain photographs) . 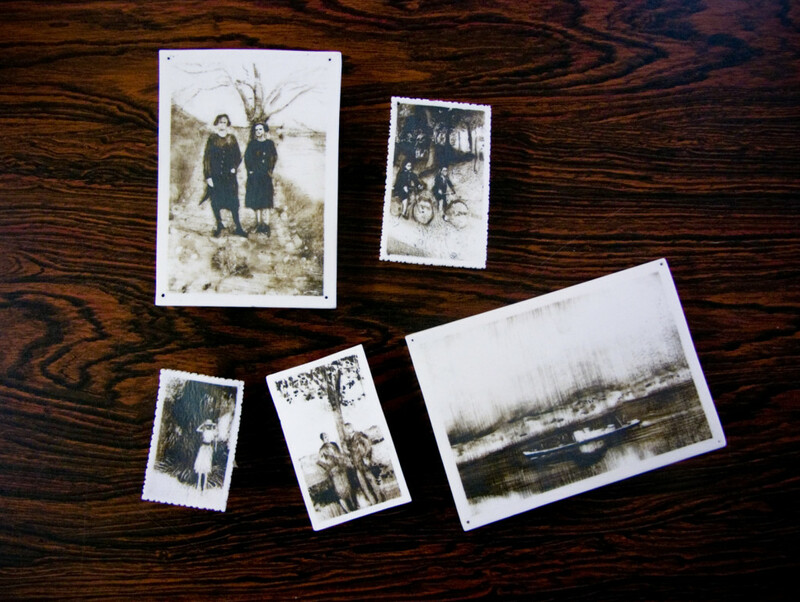 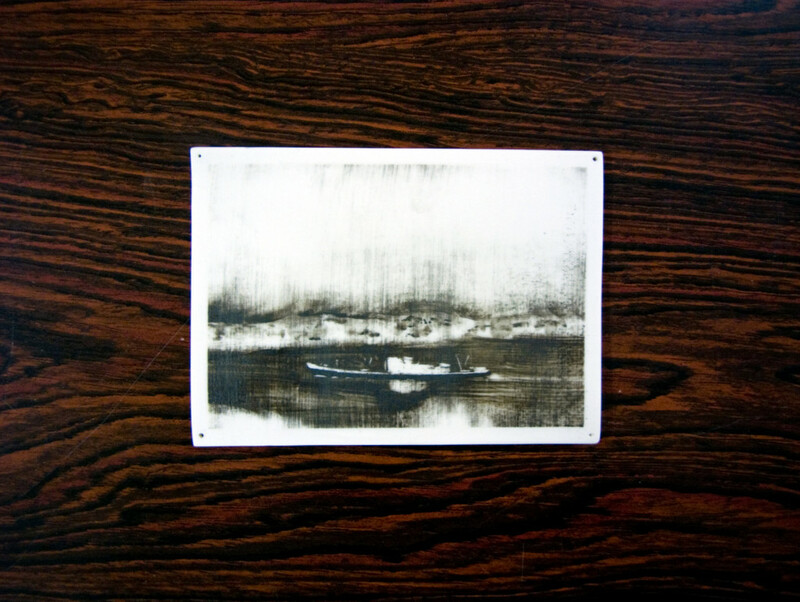 The original photographs were sourced in local flea markets and ‘brocantes’ in and around Montpellier in late 2014. 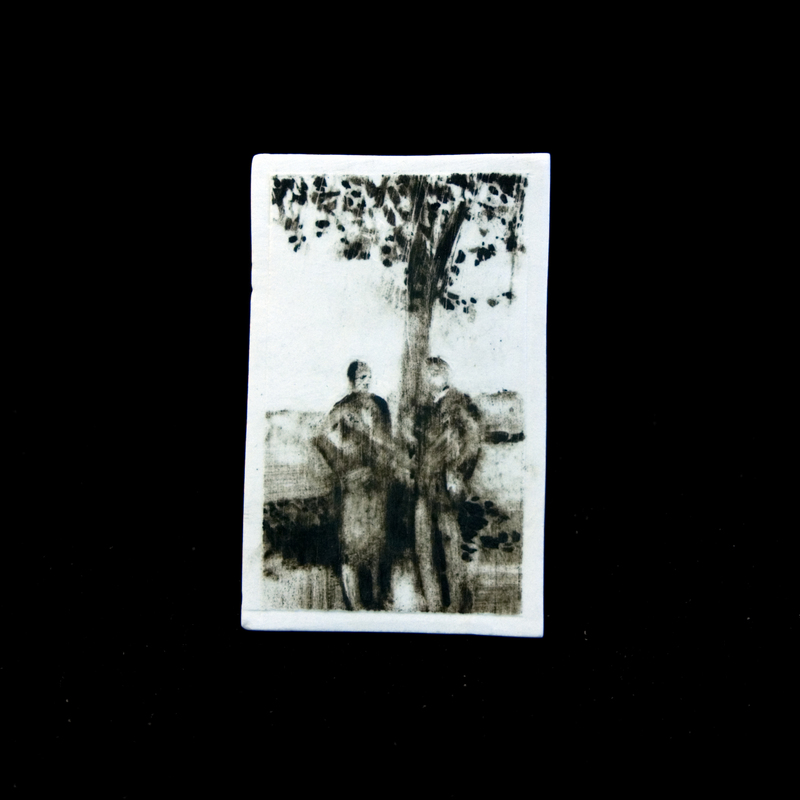 The majority of them appear to be amateur photos taken in the region between 1935-1955 but the couple by the tree (phossil 55) was probably taken further north in the Alsace region given the handwritten reference on reverse ‘…sur la route 01 Hauteville’.